Description: There is a profound difference between, on one hand, the miraculous ethos of Jesus's ministry and the Christianity reflected in the Gospels and Acts and, on the other hand, the letters of Paul in which miracles and the miraculous appear to be of much less or even no interest. How can we explain the difference between the "miraculous" Christianity expressed in the Gospels and the nearly miracle-free Christianity of Paul? In Paul and the Miraculous, New Testament scholar Graham Twelftree shows that there is often-overlooked material in Paul's letters and aspects of the New Testament data that call for a more historically sensitive approach to Paul. He argues that the historical Paul is only adequately understood if the miraculous is permitted the place it had in his national life and history, his sectarian allegiance as a Pharisee, his probable synagogue experience, his traditions inherited from followers of Jesus, his conversion, his experiences in answer to prayer, his theological enterprise, and his experience as a missionary and pastor. Challenging the view that Paul was primarily a thinker, Twelftree reimagines him as an apostle of Jesus for whom the miraculous was of fundamental importance. 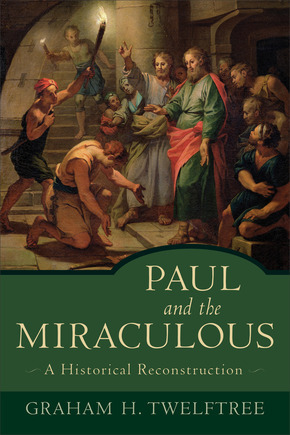 This book offers a fresh consideration of what the life and work of Paul might teach us about miracles in early Christianity, shedding light on how early Christians lived out their faith and how that faith might manifest itself in the contemporary church. Citation: Clare K. Rothschild, review of Graham H. Twelftree, Paul and the Miraculous: A Historical Reconstruction, Review of Biblical Literature [http://www.bookreviews.org] (2015).